Marine Transportation, Equipment & River Repair Services - McNational, Inc. Contact Mid America Fuels, Inc. Welcome to the McNational, Inc. group of companies. 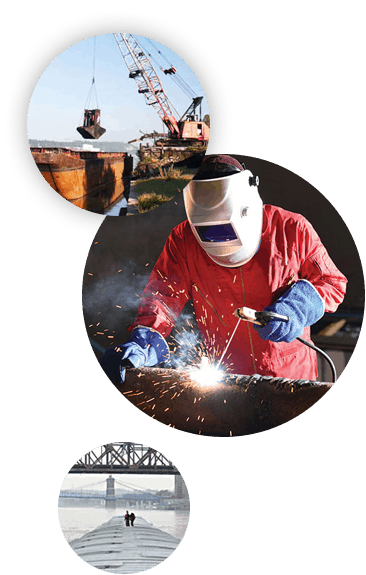 For over 100 years, the McNational, Inc. companies have provided reliable transportation, equipment, and repair services to the marine industry. McNational, Inc. continues to expand their service capabilities and locations to serve broader markets. Today, the company has an extensive fleet of harbor boats and shipyards on the Ohio, Tennessee, and Mississippi rivers. The ability to provide customers with comprehensive services makes McNational, Inc. your best resource for reliable marine and rail services. Copyright © 2018 McNational, Inc. All rights reserved.